Clifton Park Hospital opened in 2006 has first-class medical facilities including 24 beds, two theatres, a day case unit, a large outpatient department with X-ray facilities and on-site physiotherapy, including a small gym area. In 2018, the hospital opened a new outpatient department with 11 consulting rooms, two treatment rooms and x-ray facilities. Clifton Park prides itself on offering exceptional care and service to all its patients and currently has a 5 star rating on NHS Choices, 4 star rating on Google and 4.7 rating on Facebook reviews. In the most recent survey – NHS Family & Friend’s Test, 100% of inpatients and 98% of outpatients recommend the hospital. The new water heating system features 3 Rinnai HDC 1200i plus a 500 litre cylinder. A Rinnai HD50i looked after the hot water demand for 10 years, without missing a beat, but due to expansion at the hospital a new bespoke system was required. The decision was taken to upgrade to more energy efficient condensing hot water heaters and incorporate the 500 litre storage vessel to give the hospital a means of dealing with peak hour demands. The heating engineer contractors, A J Gastech, were given just a 14 hour window in which to remove the existing system and replace it with the new one. This was achieved with a bit of time to spare, such is the expertise and professionalism of A J Gastech. A J Gastec Ltd provide plumbing and mechanical contracting and maintenance for private customers, construction organisations in domestic, commercial and industrial sectors. 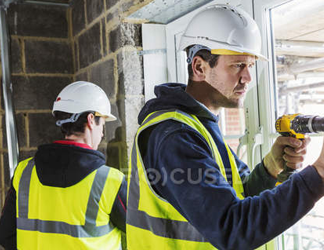 The company offers services from installation to maintenance contracts with the variety of works involving sites throughout the UK for both public and private sector works. The Rinnai HDC 1200i continuous model is for use on all high demand sites as it is easily capable of delivering 2000 litres per hour. 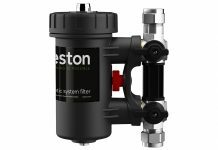 It guarantees unparalleled levels of efficiency and hot water delivery for the end user whilst streamlining installations and guaranteeing future regulatory compliance. This is a precision engineered water heating unit can also be combined as multiple units into one single, easy to handle module. Both HDC1200 internal and external models turn in a market leading energy performance of 107% net efficiency and offer superlative ranges of modulation as the system’s internal analytical system can modulate the burner range from 54kw to 2.4kw. The Rinnai HDC 1200i is engineered for minimal energy wastage and maximum energy performance. It is worth remembering that Part L of the Building Regulations 2013 set minimum thermal efficiency levels of 90% for natural and 92% for LPG, consequently outlawing non-condensing gas fired water heaters for use in new build projects. 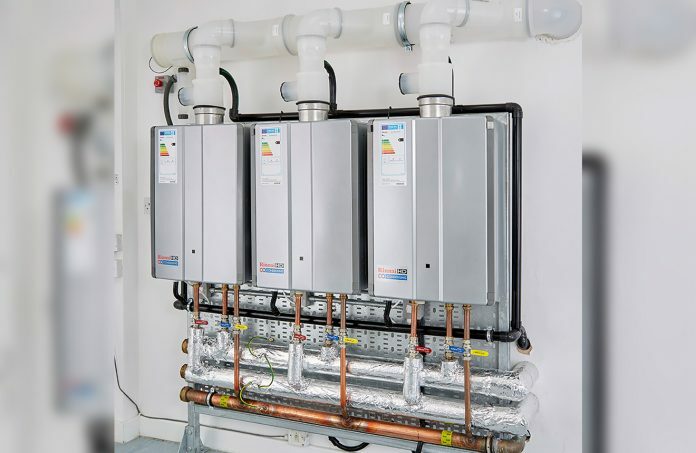 Rinnai units and systems are now the number one choice for large buildings and businesses with a heavy demand for constant hot water or where high peaks of demand occur at certain times. Any number of modules can be manifolded, so the water handling capacity is truly infinite and there is no risk of the ‘cascade’ of hot water ever running out. The manifolded 1200i units can be delivered direct to site in one complete, easy to manage package and at a very competitive price. 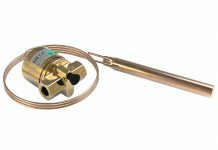 For the end user this guarantees considerable cost savings over other forms of hot water generation. The relatively compact footprint of all Rinnai units and systems means it can optimise plant room space and safeguard accessibility for maintenance and servicing. 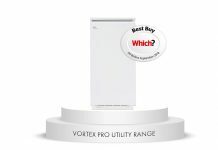 There is huge potential for on-demand style water heaters such as the Rinnai HDC 1200i units to play their part in new build and in refurbishments where there are still many old systems that need replacing as well as old-style gravity fed water systems that use stored hot water. The Rinnai Infinity HDC 1200i has lower greenhouse emissions because of the new reduced NOx burner technology. As Clifton Park Hospital has a secondary flow and return system, complete range modulation is experienced ensuring that the system is running at optimum performance at all times.